KUBINKA /Moscow Region/, August 21. /TASS/. Russia is developing a prototype of a completely new vertical take-off plane on the instruction of Russian President Vladimir Putin, Deputy Prime Minister Yuri Borisov said on Tuesday. "This work has, indeed, been included in the state armament program and is being conducted on the instruction of the supreme commander-in-chief. Now work is underway to develop conceptual models and prototypes," the vice-premier said. This work is focused on developing a completely new aircraft rather than creating a plane based on some existing model, Borisov stressed. "No doubt, this is the future for all aircraft-carrying ships and a new fleet of airplanes will be needed and precisely for this purpose various technologies are being used to provide for shortened take-off and landing or simply a vertical take-off," the vice-premier said. "Conceptually, such work has been carried out at the Defense Ministry since last year," the deputy prime minister said. "The timeframe is defined by the technological cycle of the [plane’s] creation. Normally, this takes 7-10 years, if this goes into serial production," the vice-premier added. 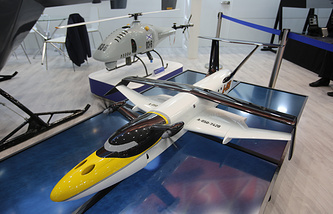 Late last year, Borisov who held the post of a deputy defense minister at that time said that Russia’s Defense Ministry was discussing with aircraft builders the development of a promising vertical take-off and landing plane for a future aircraft-carrying cruiser. It was stated at the time that the fighter jet would come as a follow-up of Yakovlev vertical take-off aircraft. 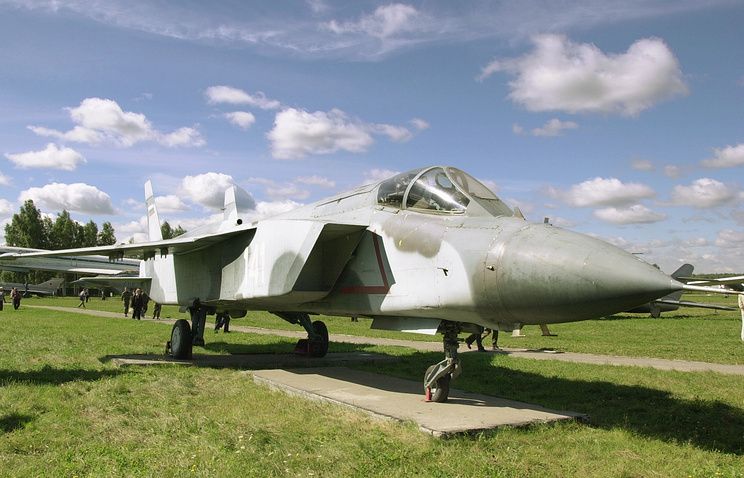 The Yakovlev Design Bureau had been developing the Yak-141 multirole supersonic vertical take-off and landing fighter jet from the mid-1970s. The plane made its debut flight in 1987. 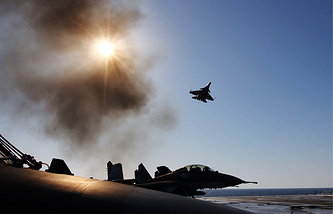 Yak-141 planes were expected to join the air groups of the heavy aircraft-carrying cruisers Novorossiysk, Baku (subsequently renamed into the Admiral Gorshkov), Tbilisi (renamed into the Admiral Kuznetsov) and Ulyanovsk. A Yak-141 plane made a landing on the deck of an aircraft carrier only in 1991. The project was finally closed in 2003.